SKU: Oasis Colorado. Category: Water Fountains. Deliver clean, pure filtered water around the clock with the new OASIS Colorado fountain cooler. 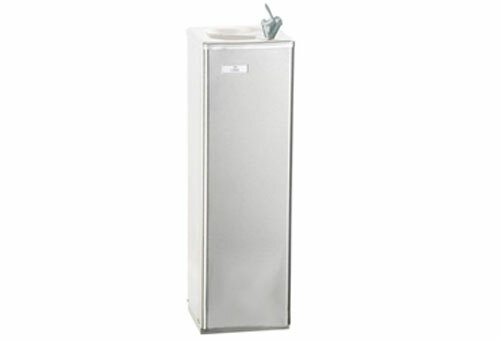 The new Colorado fountain cooler is compact attractive and economical, this model is suitable for a variety of applications and locations where space saving is critical. The stainless steel cabinet occupies only one square foot and has a removable front for service and maintenance convenience. The separate base is constructed of rugged, heavy galvanized steel.